Returning for its second year, multi-platform initiative “I’m Listening” is set to kick off National Suicide Prevention Week on Sunday, Sept. 7, with a two-hour radio program airing at 7 a.m. in each time zone and on the Radio.com app. Big names in both music and sports, many with previously established links to mental health awareness, have signed on as panelists of the program, from Linkin Park’s Mike Shinoda to Olympic medalist Michael Phelps. “In most parts of the world, suicide claims more lives than war, murder and natural disasters combined,” said Shinoda in a statement. 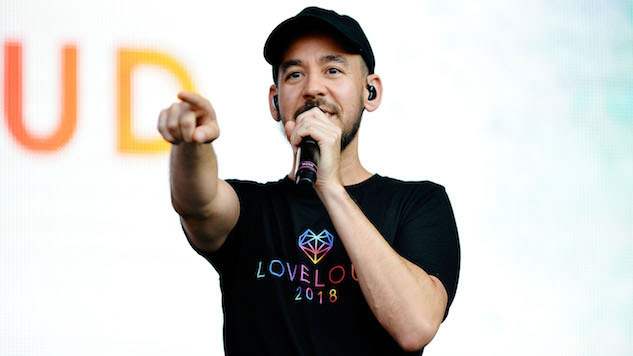 “I hope that sharing my personal story, in music and conversation, helps open up the door to new discussions and awareness about mental health.” Shinoda joins the listing of panelists just months after the release of his first solo LP, Post Traumatic, an album that looks into the vocalist’s grief and healing following the death of bandmate Chester Bennington. The radio program, hosted by BJ Shea of Seattle’s KISW FM, was organized by radio network Entercom and is paired with a year-long online initiative containing stories and information all aimed at ending the stigma surrounding mental health awareness. The two-hour program is scheduled to feature a diverse lineup of panelists—Pearl Jam’s Mike McCready and Stone Gossard, Brantley Gilbert, Bebe Rexha and former NFL player Barret Robbins, to name a few—all sharing their personal stories. Further, medical experts Dr. Chris Nowinsky (co-founder of the Concussion Legacy Foundation) and Dr. Ursula Whiteside (CEO of NowMattersNow.org) will appear as guests. Listeners will be able to call in and participate on the interactive website to join the conversation.